When punk-rock musician and journalist Larry Livermore first adopted the Lookout moniker for a small-run magazine in the early '80s, punk was still underground. Little did Livermore know the role he would play in bringing the genre into the mainstream—and the hardships that would ensue. 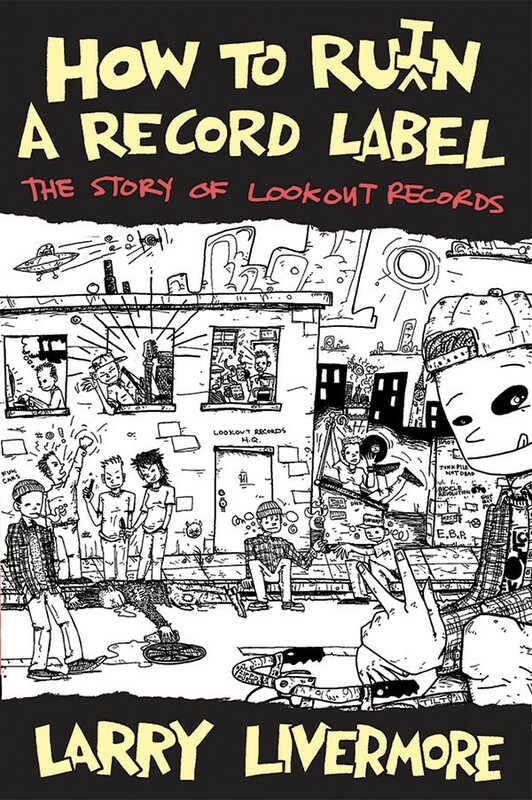 Turning the magazine into a record label in 1987, Livermore moved from his base in the mountains of Mendocino County and set up shop in Berkeley, where Lookout Records would become synonymous with the East Bay punk scene that boasted the Gillman Street venue and bands like Operation Ivy. In 1988, Livermore saw a young band by the name of Green Day, at that time going by the name Sweet Children, playing an afternoon show, and signed them to Lookout. After two albums and several EPs, Green Day went on to sell millions of records on major labels. In spite of his successes, Livermore struggled to keep control and ultimately left Lookout in 1997, but he has remained an influential journalist and author documenting the punk scene. Last year, Livermore released his rock and roll memoir, How to Ru(i)n a Record Label, which he reads from on Saturday, Feb. 13, at the Last Record Store, 1899-A Mendocino Ave., Santa Rosa. 2pm. Free. Books available for sale. 707.525.1963.